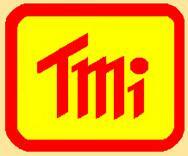 Sound Level Meters | dB Level Meters | T.M.I. Sound Level Meter, Type 2, 30 to 130 db, 3 ranges, with Data Logger and Thermometer, Optional Humidity, Light, Anemometer, Infrared Temperature. Sound Level Meter, Type 2, 30 to 130 db, 3 ranges, LCD Display with Backlight, AC adaptor optional. Easy calibration. “A” Frequency & Fast weighting time. 5 in 1 Combo, Sound Level, Anemometer, %RH, Temp. Using Low friction Ball Bearing. Data-Hold, Record, RS232 / USB Computer Databus. Notes on Sound Level Meters. Sound level meters and noise dosimeters are used in many kinds of sound and noise analysis including industrial safety, traffic and transportation noise quantification, and scientific noise measurement. They are frequently hand-held and battery-powered. Sound level meters measure real-time sound and can have functions such as signal analysis, noise dose measurement, and different time and frequency weighting. Sound level meters and noise dosimeters are used for measuring Sound Pressure Level (SPL) and different weightings such as A-weighted SPL, C-weighted SPL, Sound Exposure Level, etc. Noise dosimeters are used for specific measurement capability for defined industrial safety criteria. A typical measure is sound exposure for an 8-hour period. These instruments can be found either individually or as one unit that covers capabilities of both products. Two critical specifications for sound level meters and noise dosimeters are frequency range and sound level range. Frequency Range is the range of frequencies for which the meter maintains a constant sensitivity within defined boundaries. Functionally, this is the operational range of the meter. Sound level range is limited on the low end by the inherent noise of the acoustic system and on the high end by the maximum sound pressure level. 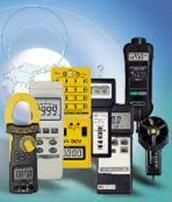 Many sound level measurement modes are available for these devices. Flat or unweighted SPL measures the straight physical quantity with no weighting. A-weighting is a frequency domain weighting based on human hearing response. This filters out low frequency sound to approximate the response of the human ear. C-weighting filters less low frequency sound than A-weighting, providing a closer representation of acoustic energy across all frequencies. A-weighted sound exposure level measurement is used for short or one-time sounds as the equivalent 1-second level. Equivalent continuous SPL is the noise level of a continuous steady sound whose time-averaged power equals that of the fluctuating noise under measurement. Percentile SPL measures the percentage of time during a given measurement period that the instantaneous measurement exceeds a given value. Some typical features for sound level meters and noise dosimeters include ratings for outdoor use and auxiliary outputs for measurement with other instruments. These devices can also have human and hand-arm vibration measurement for industrial, environmental or occupational vibration such as power tools, nearby trains, etc. Data storage and spectrum or frequency analysis are also available. Control panel options include analog, digital front panel or computer control. Typical machine interfaces for sound level meters and noise dosimeters are parallel and serial, although other possibilities, such as RF transmission, may be available. Displays on these instruments can be local analog or digital readouts or else can be read through a host computer or video display terminal. Anemometer Probe for use with SL4112 Sound Level meter, Air velocity in m/S, km/S, mph, knots, FPM. And Temperature of 0-50 deg C.
Sound Level Meter, Real Time SD Card Datalogger, Type 2, 30 — 130dB (3 Ranges), Frequency, Time, A/C, Time Weighting (Fast&Slow), Max&Min Hold. AC Output. Sound Level Meter, Real Time SD Card Datalogger, Type 1, 30 — 130dB (3 Ranges), Frequency, Time, A/C, Freq & Time Weighting (Fast&Slow), Max&Min Hold. Sound Level Meter, Real Time SD Card Datalogger, Type 2, 30 — 130dB (3 Ranges), Frequency, Time, A/C, Freq & Time Weighting (Fast&Slow), Max&Min Hold.